Should peanuts be banned in schools? You've likely heard people present this concern with strong feelings on both sides, but what is the answer? Let's take a look at the issue of peanut allergy, the frequency of this problem, the seriousness of exposure to children at risk, and then the arguments both for and against allowing peanuts in schools. Peanut allergy has become more common over the past many decades and is the most common food allergy in school-aged children. Allergic reactions to peanuts can be severe, even potentially life-threatening. Unfortunately, accidental exposure to peanuts is relatively common, particularly at school. For these reasons, parents of peanut-allergic children have advocated the idea of banning peanuts and peanut-containing foods in schools. How Often Do Peanut Allergies Occur? Roughly 1 to 2 percent of people in general and up to 8 percent of school-age children are allergic to peanuts, with the peak age in children under the age of three. Roughly a fifth of children who have peanut allergies will outgrow these by the time they are school age. It is much more common in developed countries than in developing countries and has increased substantially over just the past few decades. Roughly a third of children who have peanut allergy are also allergic to tree nuts. How Serious Are Peanut Allergies? Most allergic reactions to peanuts, around 90 percent, are confined to the skin, with redness, itching, and hives. Yet for around 10 percent of people, these allergies can be very serious (anaphylactic reactions,) with swelling of the respiratory passages, difficulty breathing, wheezing, and more. Overall, peanut allergy is the leading cause of food-related deaths in the United States. The actual number of deaths due to peanut allergy is unknown. At the current time, it's thought that there are around 150 deaths each year due to peanut allergy. As a parent, anything that has the potential to cause death in childhood is terrifying, but it may help to compare this number to some of the other causes of death in childhood. Of course, this comparison doesn't matter and is meaningless to a parent who has lost a child from peanut allergy, but relative to many other hazards in a child's environment, peanuts rank low. That said, accidental exposure to peanuts is fairly common in the school setting, and in some ways, seems like it should be preventable. To date, there are few studies that have looked at the occurrence of peanut allergy reactions in schools that have banned peanuts compared to those that have not banned peanuts. While one might think that the reaction rate in so-called “peanut-free” schools would be lower than in schools that have not banned peanuts, this is not necessarily true. A 2017 study looked at schools which had been designated peanut-free as well as schools that had banned peanuts from being served or brought from home. These policies did not change the rate of epinephrine injections (the shots given for a severe allergic reaction.) 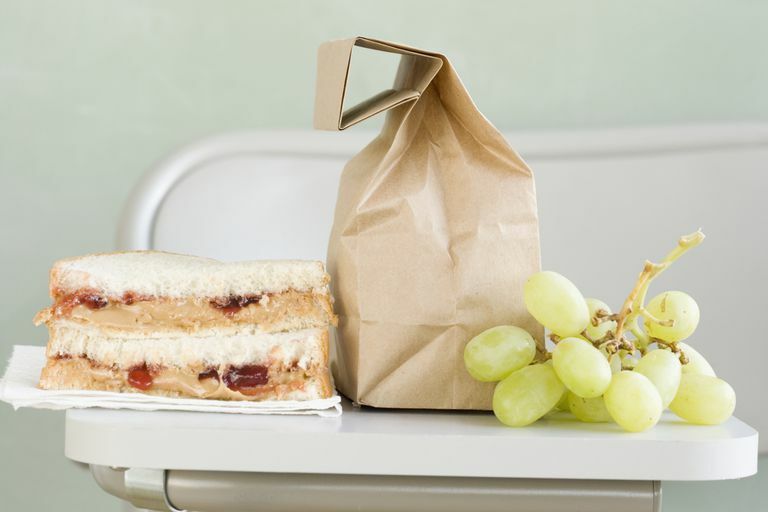 Schools with peanut-free tables, however, did have lower rates of epinephrine administration. Certainly, there are arguments for banning peanuts in schools, one of which would be peace of mind of parents. Physically, the absence of the potential for an allergic reaction, if it is eventually shown that banning peanuts makes a difference, could reduce the risk of the reactions, and even the possibility of death. Emotionally, parents with children who have peanut allergy might rest more comfortably knowing that their child may be less likely to be around peanuts. For a child with a severe peanut allergy, being in an environment in which peanuts could be present raises this fear as well. A child could end up feeling ostracized and isolated. In addition, it places a lot of pressure on a young child to ask the questions of classmates as to who has peanuts or products with peanuts as an ingredient in their lunch. One argument against banning peanuts is that they can be a very nutritious snack. Peanuts pack a nutritious punch and are high in protein, fiber, healthy fats, vitamins, and minerals. Not only do they have significant nutritional value, but the nutritional value of many alternatives (chips and cookies) pales in comparison. In banning peanuts to benefit children with severe allergies, schools risk reducing the nutritional quality of lunch for many more children. It would be difficult, if not impossible, to enforce such a ban—and young children could not be held accountable for such a food ban. Banning peanuts would then provide a false sense of security that could lead school officials to “let their guard down” in terms of being prepared to deal with severe allergic reactions as a result of peanut allergy. And, of course, banning peanuts could lead to the banning of other foods or activities—why not ban milk as well, which is a common food allergy? Or ban children who have cats at home, who might carry pet dander on their clothes? This is termed a “slippery-slope” argument: Once one food is banned for the safety and benefit of a few children, where do we stop? What about the rights of non-peanut allergic children to consume peanuts? Many schools that don’t ban peanuts outright may separate food-allergic children during mealtime, such as having a “peanut-free table” at lunch. While this strategy is probably more effective than a peanut ban (and studies to date support this,) the school needs to be prepared to deal with the idea that these children may be stigmatized or potentially bullied by non-food allergic children. At this time, studies have yet to tell us the impact of banning peanuts in schools might have. Yet, we can't wait for further studies to be completed. There are children that are coping with these very real risks today. Whether or not peanuts are eventually banned, we should remember that there are other ways in which we can address the problem. First and foremost is that children with a potential peanut allergy have an accurate diagnosis. Seeing an allergist, and having instruction on how to avoid peanuts in the diet (it's harder than it may appear) is critical for any child, as the child will likely be exposed to peanuts in many other settings, such as friend's homes. Epinephrine should be available at the school for any child who carries a diagnosis of peanut allergy. The school should have a copy of the diagnosis, as well as a clear plan of how a reaction should be handled if a child has a reaction. Schools need to then make sure that they have personnel who are trained both in how to recognize and how to treat such a reaction (how to use an Epi-Pen.) Unfortunately, we do have studies showing schools are not always properly prepared for the event of a peanut allergy. Bartnikas, L., Huffaker, M., Sheehan, W. et al. Impact of School Peanut-Free Policies on Epinephrine Administration. Journal of Allergy and Clinical Immunology. 2017 Mar 25. (Epub ahead of print). Sicherer, S., Sampson, H., Eichenfield, L., and D. Rotrosen. The Benefits of New Guidelines to Prevent Peanut Allergy. Pediatrics. 2017 May 2. (Epub ahead of print). Stukus, D. Peanut-Free Schools: What Does it Really Mean, and Are They Necessary?. Journal of Allergy and Clinical Immunology. 2017 Apr 25. (Epub ahead of print). Wang, J., and D. Fleischer. Should Peanut Be Banned in Schools?. Journal of Allergy and Clinical Immunology. In Practice. 2017. 5(2):290-294.